All companies outsource. It’s a humbling fact that you simply can’t do it all yourself. This often has to do with resource allocation: Your company may allocate dollars to build and sustain some activities in-house while choosing to contract higher-cost operations to qualified suppliers who already have the expertise and equipment. Your outsourcing may come in the form of manufacturing of a sterile injectable, tablets, or topical dosage form or it may be GMP product release and stability testing. Once this production and testing is complete, the product may need to be stored under controlled temperature and humidity conditions and then distributed to locations around the globe. The suppliers you choose to execute these critical operations are of paramount importance to your company’s success and to minimize stress-induced headaches throughout your organization. 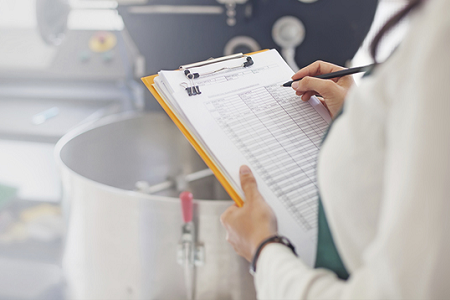 Here are the top five ways to get the most out of a supplier audit. This seems obvious. However, more often than not, quality auditors step into the supplier’s lobby without doing their homework. Ask yourself the following questions: Why am I auditing this supplier? Is this supplier new to my company or one that we have used before? If used previously, have I read over the previous audit observations as well as the supplier’s responses and do I understand them? Which audit observations do I suspect would be the most challenging for the supplier to address and which are most important to my company’s requirements for this product? Have I reviewed previously executed production batch records and testing data and are there issues that need resolved? Are there deviations and CAPAs to follow up on? Your understanding of the supplier’s work proposal is of great value in refining the scope of the audit. Ask yourself: Which of our products may be manufactured and tested here and which strengths (e.g., potency) will be produced? Which equipment is likely to be used? For a tablet production, for example, the equipment train could include balances, blenders, roller compactor, spray dryer, solvent-rated oven, comils, tablet press and tooling, gravity feeder, coating systems, de-duster, weight sorter, metal detector, tablet counter, etc. This list of equipment will assist you in requesting equipment records during the audit. Proper audit planning will help to keep the audit organized and adhere to the audit timeline. In advance of the audit, provide the audit host with a list of the technical, lab, and manufacturing staff you wish to speak with and the records you need to review. A well-organized host will have this available for your review. Stick to your audit agenda. This is critical. The best way to derail your progress is to spend precious time chasing down minor issues while glaring problems get little attention or none at all. Continually refer back to the audit agenda and remember to keep the content of your audit report in mind while executing the audit. Many auditors have led previous lives in the laboratory or in manufacturing, while others started their careers in quality assurance and may have little technical background with regard to equipment, manufacturing processes, GMP utilities, and laboratory testing. Know your limitations and, if necessary, strengthen them by hiring an expert consultant to assist you during the audit. A common problem area that is at best glossed over and at worst completely ignored during an audit is the CDMO’s compliance with requirements for its GMP utilities. All too often, this is due to the auditor’s lack of understanding of the operation, inputs and outputs, validation parameters, and periodic testing and maintenance requirements for utilities such as HVAC, clean or pure steam, purified water and WFI systems, autoclaves, clean compressed air, nitrogen, and other gases used for operating equipment or used during processing activities in manufacturing. Typically, these areas are also less well understood by the CDMO’s employees and as a result, noncompliances abound. Some GMP utilities may be connected to the facility’s building management system, while others may be stand-alone equipment. In either case, the CDMO should have records of alarms (e.g., out of specification or out of range conditions), an acknowledgement of each alarm by designated staff members, and documentation of corrective actions. The last item is key. This is where the execution of quality systems tends to fail. Make a point to request documentation of corrective actions for each utility alarm. Additionally, purified and WFI water systems, along with gases, such as clean compressed air and nitrogen, require periodic sampling/testing at each point of use. Verify that the timelines (monthly, quarterly, or annual) for sampling and testing were performed as directed by the CDMO’s procedures. These timelines are typically not well adhered to. A clear understanding of all the operations of the supplier’s GMP utility management process will keep your thoughts clear during the audit and help identify areas that are in need of improvement. An important goal of a supplier audit is to identify the supplier’s strengths and weaknesses and come away from the audit with a compliance assessment that your company can use to make important decisions. It is of no value to your company if the goal of the auditor is to show the supplier how much he or she knows by debating the fine points of compliance. GMP auditors with decades of experience generally avoid this competitive exchange as it is unproductive. Rather, it is more important to spend the necessary time identifying compliance issues, making them known to the audit host in a professional manner, and taking detailed notes that assist in writing the audit report. Your company’s senior managers need to know the supplier’s good and not-so-good points. Detailing all of these provides the greatest value. CDMOs’ quality systems are generally written by managers and directors who have many years of industry experience. It is the understanding of staff members who execute these systems that is of utmost importance in ensuring that your company’s product will be made, tested, stored, and distributed in a compliant manner. Request to speak with manufacturing staff members who work on the production floor and are likely to work on your product. Ask them about the process they would follow in conducting line clearance, charging of powders to a blender, operating a spray dryer, use of a conical mill, setup of a tablet press, inspection of tablets, use of metal detectors, etc. Compare the information they provide to the CDMO’s SOPs to determine if the staff understands their jobs. Listen for phrases such as “I usually do it this way…” or “It’s different every time, but I typically set up the equipment like this…”. These phrases reveal a lack of control and adherence to procedures. The audit itself lays the foundation for a relationship with the supplier and the takeaway message should address the following questions: Will the supplier work to resolve the issues I’ve identified? Am I confident that the supplier will immediately notify and involve my company’s representatives when deviations occur during production or testing? Do the supplier’s quality systems and records meet my company’s requirements and those of regulatory agencies? How confident am I that the supplier will produce and/or test a quality product that my company can stand behind? Is the supplier simply a pair of hands or is it committed to be my partner in this product’s success? The answers will provide you with a comfort level in making the decision to move forward with the supplier or to look to the supplier’s competition. Greg Weilersbacher is the founder and president of Eastlake Quality Consulting, a GMP consulting firm based in Southern California. Over the last 25 years, Weilersbacher has held director and VP positions leading quality assurance, quality control, analytical chemistry, materials management, GMP facilities, and product manufacturing in biotech and pharmaceutical companies. His unique experiences and technical background have led to the manufacture and release hundreds solid oral, sterile, and biologic investigational products to clinics in the US and abroad. Weilersbacher can be contacted at weilersbacher.greg@gmail.com.